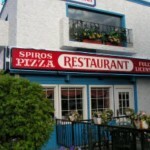 It was originally filled with bungalows and 1 ½ storey homes. Since 2002, the R2 zoning in Killarney-Glengarry has made this community very attractive for builders, investors and handymen (handyman specials). The older homes were fixed up or replaced with modern and executive homes and infills. Killarney-Glengarry has an active community centre with programming and events for all ages. Nowadays, the Killarney-Glengarry real estate market has become a diverse community with a nice mixture of (beautiful and updated) bungalows, 2 storey homes (detached or attached) and condominiums (apartments and townhouses). More specifically, there is a 40+ apartment complex and a nice starter’s townhouse complex (Killarney Glen Court), where one can buy a 2 or 3 bedroom townhouse for under $200,000. This makes Killarney-Glengarry perfect for all types of buyers, from students, to seniors to families and professional couples. The north border of the Killarney community is 17th Ave SW, the east border is 25A Street SW, the south border is Richmond Road and the west border is 37th Street SW. Proximity to major transportation routes (Crowchild, Glenmore, Deerfoot, Sarcee) makes for quick commutes to all parts of the city and a short drive to downtown. The LRT has been extended as of 2013 to make transportation even more accessible. Calgary Transit is excellent from this community. Killarney-Glengarry has a public (Killarney) and a Catholic (Holy Name) elementary school and high schools close by. The websites of the Calgary Board of Education and the Calgary Catholic School District are great resources if you have children. Mount Royal University is also less than a ten-minute drive away, which makes this a popular destination for students in the area. There is a community garden for residents of Killarney-Glengarry. 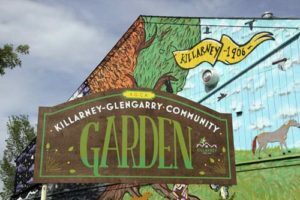 The Killarney-Glengarry amenities include a community association with a community garden and an ice rink. There are also parks and open spaces. Shopping is nearby along 26th Ave, at Westbrook Mall, at West Hills and shops and restaurants along the famous 17th Avenue. Further to that, Killarney has a public swimming pool, churches and Japanese, Korean and Ukrainian centers. 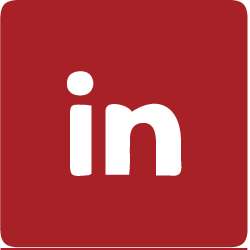 If you are considering buying real estate in Killarney-Glengarry and want to have information on crime rates, visit the Calgary Police website. All in all, living in the Killarney-Glengarry real estate market is perfect for being close to all major roads and to downtown, while still having a quiet and peaceful lifestyle. Killarney-Glengarry is an excellent alternative for the more expensive communities of Altadore, Garrison Woods and South Calgary. Contact us to find out more about what the Killarney-Glengarry real estate market is all about!